pronounced increase in the diversity of spore types, as well as in the complexity of ornamentation (Gray et al., 1974; Wood, 1978; Beck and Strother, 2001), suggesting a major radiation of land plants during this period. Based on comparisons of Late Silurian plant microfossils from China with assemblages reported from other parts of the world, Wang et al. (2005) hypothesized that Late Silurian floras were cosmopolitan and exhibited little paleogeographic differentiation. major plant groups. These studies will also serve to distinguish phylogenetically important features from those that are developmental in scope (Wellman, 2004). (FIG. 6.24), some of which possess an outer membrane. 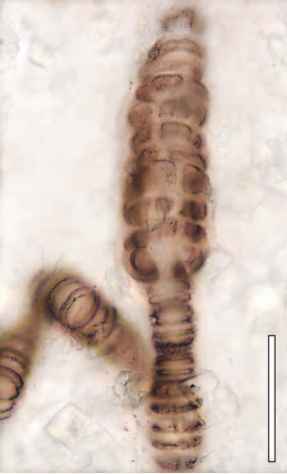 Smooth-walled, solitary, trilete spores mark the second zone, which extends from the Lower to Middle Silurian. 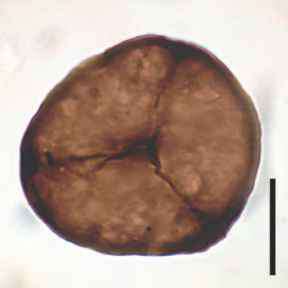 The third zone (Middle and Upper Silurian) contains spores with various types of external ornament, suggesting increasing levels of diversity. 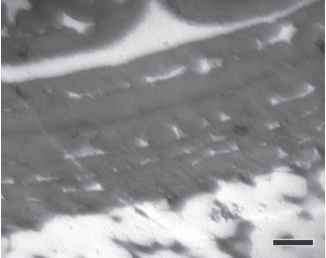 Tetrads of spores are also found throughout this last zone, but without enclosing membranes. 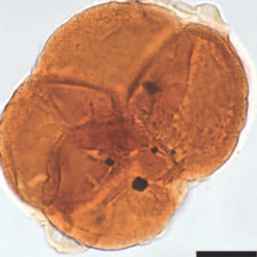 Despite the uncertainties regarding the affinities of various cryptospores, their presence, together with other types of fragmentary debris as early as the Middle Cambrian, indicates the presence of some type of subaerial photosynthetic cover during this time period (Strother et al., 2004). 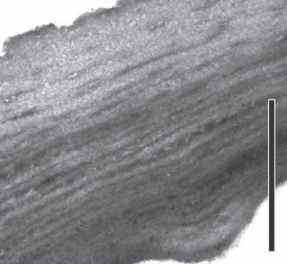 These authors also noted that at least some of the cryptospores are no doubt homologous with younger Ordoviocian and Silurian forms, but that the record to date suggests that during the Cambrian there was a diverse mesoflora of eukaryo-tic photoautotrophs that were derived from chlorophytes and/or charophytes, together with various thalloid organisms constructed of filaments.